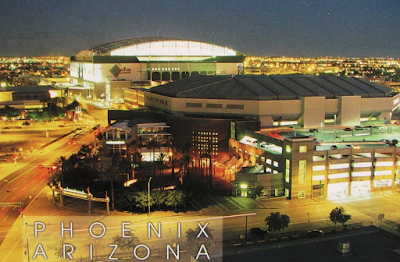 Whenever I see a street in Phoenix that curves, it makes me wonder why? I call them "anomalies", which just means something unusual that gives me a clue as to what the road was curving around, which gives me an excuse for some time-traveling. I mean, except for mountains, there really isn't all that much in the desert that roads have to go around, is there? In the case of Jefferson, the curve was created in the mid-1980s when the southern building of the Phoenix Civic Plaza was built. And the reason was simple - the road curved just so that the building could be made larger. The original Phoenix Civic Plaza Building, which was built in the 1970s, is gone, and has been replaced with the current building, which is between Monroe and Washington and 2nd Street and 3rd Street. The south building, which is still there, was connected with a skyway over Washington, which is long gone. The idea, of course, was to make the two buildings flow together as seamlessly as possible. Ultimately, the city just built a bigger building, the two-story Convention Center that's there now. I have to admit that the Jefferson curve adds a nice bit of dramatic effect as you approach the basketball arena and the baseball stadium, whether in a car, or on the Light Rail, from the west. It's a bit of a "ta-da" effect that begins with the turn east on 1st Avenue and as Jefferson begins its curve along the southern edge of Block 23, at 1st Street. 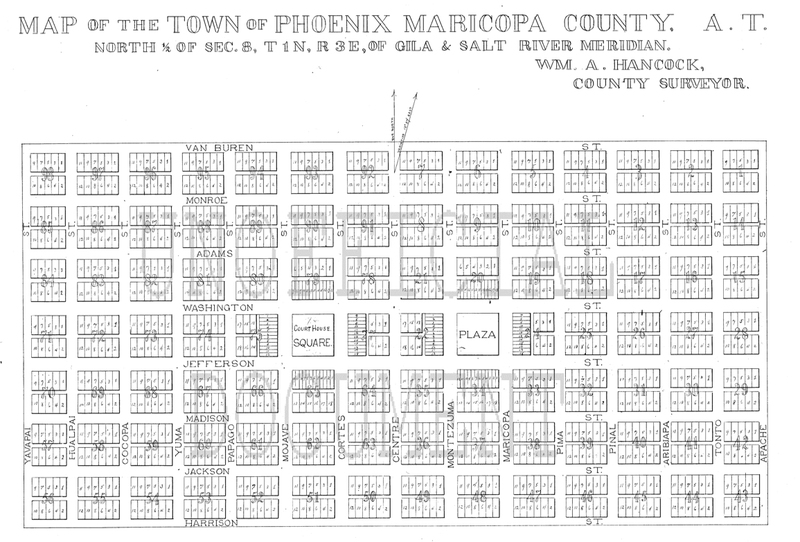 Block 23, by the way, is a description that goes back to the original platting of Phoenix in 1870. As of this writing, Block 23 is just a parking lot, but future plans call for a Fry's Grocery store (that would be cool in the middle of downtown Phoenix!) 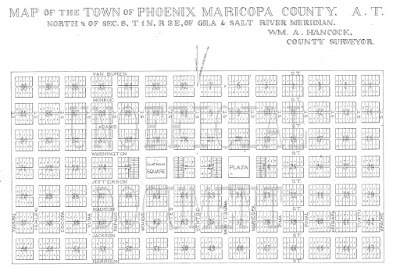 and in the past, Block 23 was the location of JC Penney's (the underground parking garage from 1953 is still down there), the Fox Theater, the city bus terminal, the original territorial city hall, fire station and city plaza. Block 24 is where the Collier Center is, you know, where the Bank of America is. And Block 25 is where the the south building of the Civic Plaza is. Well, to be fair, nowadays Block 25 kind'a flows into Block 32. Thanks for time-traveling along the Jefferson curve with me. By the way, other interesting curves in Phoenix that I get a kick out of are the Melrose curve (which was just because of poor alignment between 7th Avenue and the Grand Avenue bridge), and the 3rd Avenue curve behind Park Central Mall, which curved around the old Central Dairy. Watch for curves!